Since 1989, BMG LABTECH, The Microplate Reader Company, has been committed to providing high quality microplate readers for academic and high-throughput laboratories and has earned the reputation of being a technology leader through ongoing innovations and by carefully listening to the needs of the scientific community. BMG LABTECH has developed the widest range of dedicated, multi-mode, life science, and HTS microplate readers available. The Omega Series are the only life science microplate readers with Tandem Technology - ultra-fast UV/Vis spectrometer based absorbance (220 – 1000 nm) and highly sensitive filter-based detection for measuring fluorescence and luminescence. These multi-mode microplate readers are also capable of reading TR-FRET assays such as HTRF® and LanthaScreen® as well as AlphaTechnology based assays. The FLUOstar Omega has also recently been voted "Best Drug Discovery Product 2010" at Select Science. BMG LABTECH’s latest innovation in microplate reading technology is the SPECTROstar Nano. Using a spectrometer, it captures a full UV-Visible spectrum (220 nm to 1000 nm) in less than 1 sec/well and measures sample volumes down to 2 µL. Use all standard microplate formats up to 1536 wells or use the built-in cuvette port for kinetic studies and quick experiments. The SPECTROstar Nano allows for single push button operation for basic commands, as well as specific assay protocol set up. The most common absorbance assays such as ELISAs, DNA, RNA, Protein (Bradford, BCA, Lowry), cell growth, and beta-galactosidase can be performed with ease due to predefined protocols. Ultra fast, full spectrum analysis, multimode shaking, incubation, kinetic readings, well scanning, automated path length correction and a gas vent are only a few of the outstanding features that the SPECTROstar Nano has to offer. BMG LABTECH also provides the perfect microplate readers for High-Throughput Screening, assay development, and high-end applications. The PHERAstar FSX is designed to read multiple detection modes including UV/Vis absorbance spectra, fluorescence intensity, FRET, fluorescence polarization, time-resolved fluorescence, HTRF®, LANCE®, DELFIA®, AlphaScreen® / AlphaLISA®, luminescence and BRET in all plate formats up to 3456. For more information on BMG LABTECH's sophisticated life science and cutting edge HTS microplate readers as well as other innovative microplate reading solutions visit: http:/www.bmglabtech.com. This year, BMG LABTECH’s Australian office celebrates 20 years of innovation and steady growth. BMG LABTECH, a manufacturer of innovative microplate readers, has announced the launch of a newly redesigned version of its website. BMG LABTECH, a leading manufacturer of microplate readers, announces that the company has received grant for the U.S. Patent 9,733,124, entitled “Microplate Reader with Linear Variable Filter”. The Festival of Genomics London brings together academia, biopharma and healthcare to explore the power of the genome in driving R&D and the diagnosis and treatment of disease into the future. BMG LABTECH, a leading manufacturer of microplate readers, recently supported four iGEM teams with a microplate reader to fuel their participation at the annual iGEM competition. Visitors at the SLAS in San Diego will witness the international premiere of the new reference multi-mode HTS reader PHERAstar® FSX. BMG LABTECH showcases its wide range of microplate reader at the Biotechnica in Hannover. The research iGEM team of the Albert-Ludwigs-University Freiburg, Germany presents their newly developed 'Microarray Xeroxing' technique to the Jury in Boston. The grant is targeted towards developing new technological approaches enabling academics, biotech and pharmaceutical companies to discover novel treatments for a range of disorders. BMG LABTECH - the microplate reader company - showcases its multimode microplate reader CLARIOstar with unique LVF MonochromatorTM technology and new Atmospheric Control Unit (ACU). Visit booth #1 at EMBL Heidelberg from 14th to 17th of June. The major earthquake that struck west of Kathmandu, hits one of the poorest regions in the world. BMG LABTECH’s Atmospheric Control Unit (ACU) is now entirely integrated into the reader control software. The new Atmospheric Control Unit (ACU) allows independent, simultaneous control of both O2 and CO2 within the microplate reader chamber. Assays which can now be performed on the CLARIOstar range from standard cell growth assays to cytotoxicity assays. The ACU provides the optimal environment for any live cell-based assay. Our newest microplate reader deserves a new website. 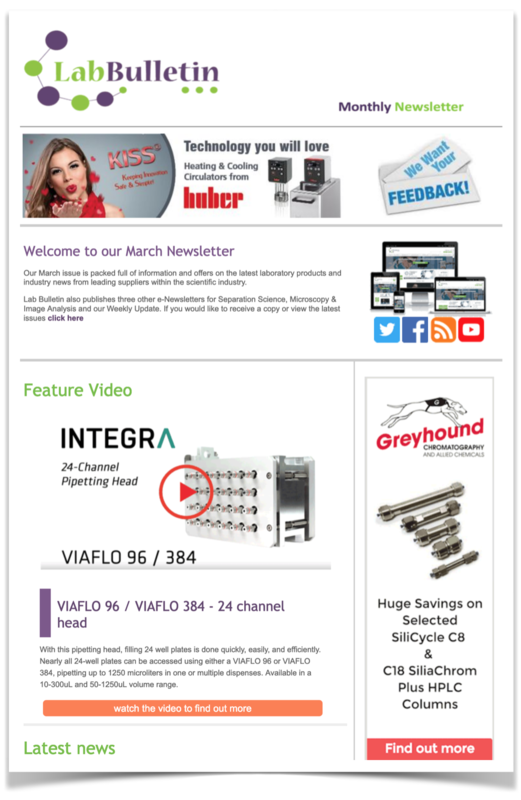 Please check out our new CLARIOstar® featured on our new website. When adapting a fluorescent protein assay from a confocal microscope to a microplate format, researchers no longer need filters thanks to new LVF Monochromators™ in the CLARIOstar® microplate reader from BMG LABTECH. 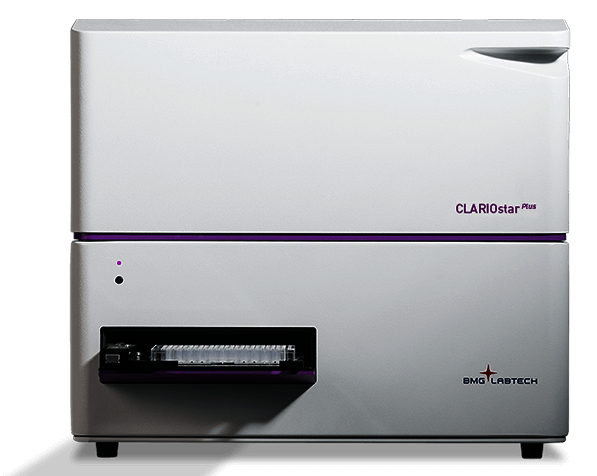 High Performance Microplate Reader with Advanced Monochromators, Spectrometer, and Filters, Anything is possible with the CLARIOstar - Any Wavelength. Any Bandwidth. Any Assay. BMG LABTECH and InvivoSciences announced today a strategic collaboration to market the time-dependent fluorescent assessment of engineered 3D heart tissues using advanced microplate reader technologies. BMG LABTECH’s German engineers designed the CLARIOstar to be the perfect multimode microplate reader that did not compromise on sensitivity, flexibility, speed, or convenience. And they succeeded. BMG LABTECH’s German engineers designed the CLARIOstar® to be the perfect multimode microplate reader, and they succeeded. With Triple Detection Technology, there is no compromise in any mode on sensitivity, flexibility, speed, or convenience. BMG LABTECH showcased the CLARIOstar multimode microplate reader at the European Laboratory Automation 2013 conference in Hamburg, Germany. The CLARIOstar has new, advanced dual LVF Monochromators for fluorescence and luminescence detection, including FRET and BRET. LVF monochromators contain cutting edge technology, which include linear variable filters and dichroic mirrors. Like conventional, grating-based monochromators, these advanced LVF Monochromators produce continually adjustable wavelengths from 320 to 850 nm. Looking to perform a microplate cell-based assay for the first time or would like to develop a higher throughput for your current cell-based assay? BMG LABTECH,The Microplate Reader Company, will showcase its newest technology at ELRIG 2012 in Manchester, UK on September 5th-6th. Visit BMG LABTECH booth Q11 & Q12 to learn how innovative technology greatly enhances microplate applications. Measure Low-Volume DNA, RNA and Protein at the Touch of a Button Mar 23, 2012 If you are measuring DNA, RNA, or protein using the absorbance method 260/280 nm and you would like to use less sample than what is held in a cuvette or 96-well microplate, then you might be interested in BMG LABTECH's low volume LVis microplate. Compatible with BMG LABTECH's SPECTROstar Nano and now with the Omega platform of absorbance spectrometer-based microplate readers, researchers will substantially save on DNA, RNA, or protein samples when using the LVis microplate..
A Fast and Simple Method For Measuring P-Glycoprotein (Pgp) Inhibition Apr 4, 2011 A novel assay specific for measuring inhibition of the P-glycoprotein multidrug transporter (PGp) is presented. The combination of the fast and simple fluorescence assay from the Fluorosome® company and the FLUOstar Omega microplate reader from BMG LABTECH is an ideal platform to screen for Pgp inhibitors in 96-well or 384-well format. Fluorescence kinetic signal curves and representative IC50 values for different test compounds are shown. Receive a Free Ultra-Fast, Full Spectrum Absorbance Microplate Reader from BMG LABTECH for Your Ideas Feb 16, 2011 The SPECTROstar Nano is the next evolution in absorbance reader technology and BMG LABTECH is giving away five of these unique instruments for your ideas. Its proprietary ultra-fast UV-Vis spectrometer instantaneously captures a full spectrum in microplates, cuvettes and low volumes samples. It will redefine the most common absorbance assays such as ELISAs, DNA, RNA, protein (Bradford, BCA, Lowry), cell growth, and beta-galactosidase, while expanding your laboratory's capability with different sample formats. BMG LABTECH to showcase the SPECTROstar Nano and present two workshops at the LabAutomation 2011 conference Jan 17, 2011 Instantly capture a full UV/Vis spectrum (220 - 1000 nm) in low volume samples, microplates and cuvettes with the New SPECTROstar Nano. Ultra-fast full spectrum analysis, multimode shaking, incubation, kinetic readings, well scanning, automated path length correction, a gas vent and robot compatibility are only a few of the outstanding features that the SPECTROstar Nano has to offer. BMG LABTECH introduces a revolution in absorbance reading - SPECTROstar Nano Sep 3, 2010 Experience the future of microplate reader technology today with the new SPECTROstar Nano. This ultra-fast, full spectrum absorbance microplate reader with cuvette port is perfect for all absorbance assays. Its rapid full spectrum analysis at a resolution of 1 nm allows for absorbance assays never before possible on a microplate reader. BMG LABTECH announces first FP User Group Meeting Apr 16, 2010 BMG LABTECH world leader in microplate reading technology and developers of the first fluorescence polarisation microplate reader, POLARstar, are pleased to announce their inaugural UK Fluorescence Polarisation (FP) user group meeting on the 23rd of April 2010.